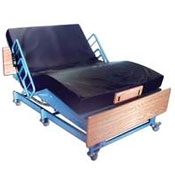 Only the most trusted bariatric bed brands are found at NewLeaf Home Medical. 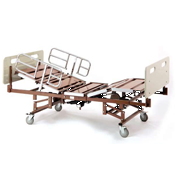 Big Boyz Beds, Drive Medical and Invacare Bariatric Beds feature durable construction and the highest quality when it comes to Full-Electric Beds, Semi-Electric Beds, Low Beds, and Long-Term Care Beds for bigger users who require an extra wide sleep surface. 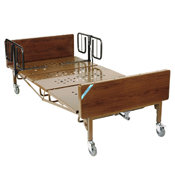 Choosing the right bed can assure comfort and increase independence! As with any product NewLeaf Home Medical offers, we have a team of devoted, compassionate advisors available to help you by providing answers and guidance based on your specific needs. Please call us at 888.739.4330 for personal assistance.